The Herbert Wertheim College of Medicine’s faculty group practice, FIU Health, now has a third office located at 9200 Sunset Drive, Building 4 in Miami-Dade County. FIU Health Sunset specializes in cardiology and is currently accepting new patients. “FIU Health is committed to serving the South Florida community and our expansion in Miami-Dade County will allow us to serve more individuals in our community,” said Dr. Yolangel Hernandez Suarez, director of FIU Health. The board-certified cardiologists providing care at the FIU Health Sunset are Dr. Julius Gasso, Dr. Jose Martel, and Dr. Jeffrey Simmons; all of whom are assistant professors at the FIU Herbert Wertheim College of Medicine. 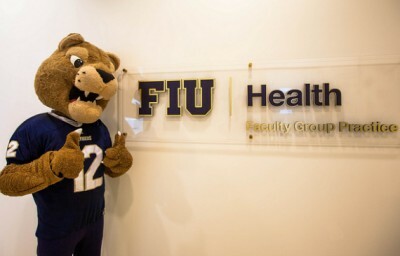 The other two offices are FIU Health MMC on FIU’s Modesto Maidique Campus in West Miami-Dade, and FIU Health Broward at Broward Health Medical Center in Fort Lauderdale. To make an appointment at the FIU Health Sunset office or for more information, call 305-412-8315.